It’s summer and the strawberries have come and gone, the black berries and raspberries speckle the forest, and wild blueberries cover the ground; cherries have exploded from their trees and baby peaches begin to grow from their branches. There is nothing quite like biting into that first crispy apple of fall or the first berry on the bush, so decadent as its bite sends your taste buds a’buzzing. Actually, it could be easy. At Radix, we decided to plant five various fruit trees from cherries to apples to show just how possible this dream could be. 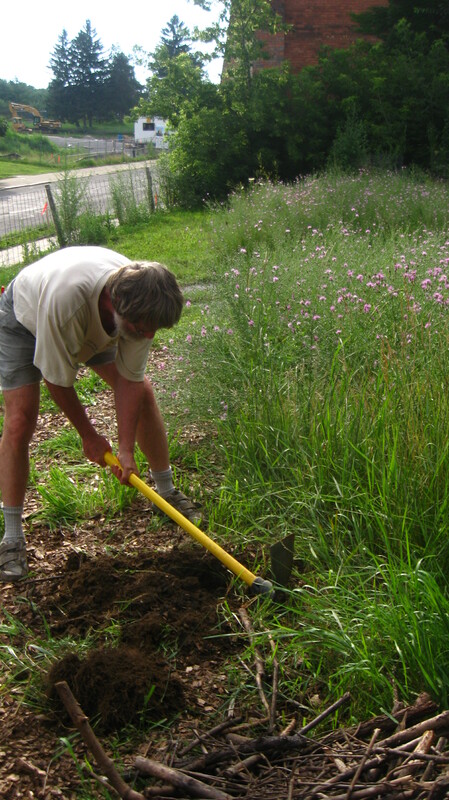 Since parts of the property are still sparsely covered in concrete, we had make dirt piles to plant the trees in. In areas where the ground was exposed, a hole was dug and more dirt was added. 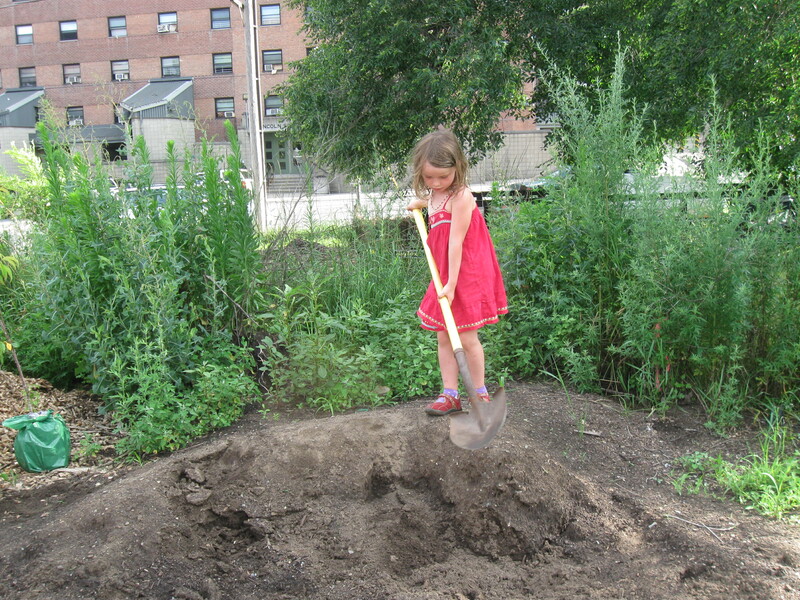 Elly doing a great job shoveling dirt into the wheelbarrow. Creating a hole for the first tree in the exposed ground. 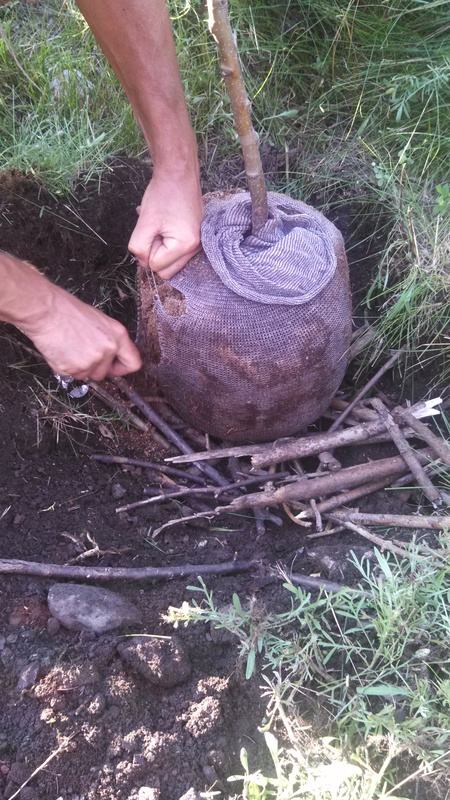 FYI, you can keep the tree in its fabric bag when planting. The bag will quickly deteriorate in the ground. 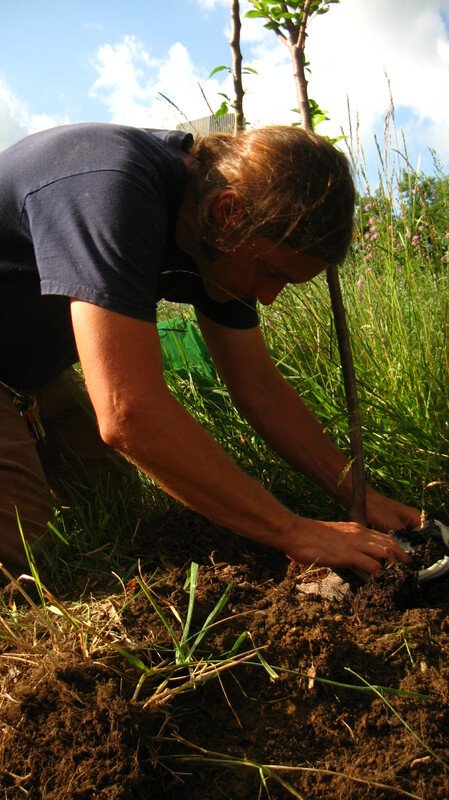 Scott covering the tree with dirt and compost to finish the planting process. To take care of our trees in the middle of summer when the weather is hot, we water them each day while they are still vulnerable to the dry heat. Hopefully by next year, they will be growing strong, soon to bear fruit and provide shade for the center while showing that fruit trees can be grown, even in inner-city Albany.